how would you wear your hair today.? Discussion in 'Hair Care' started by milk_x_honey., Feb 4, 2009.
we have a similar thread for outfits, so why not start one for hair?. *how would you wear your hair today?. styles from runways past, editorials, celeb appearances et al. this morning i'm thinking . . eniko's long, soft waves. v magazine / 'the eniko show'. photography / inez & vinoodh. Brilliant thread! And lovely choice! i love that milk x honey! 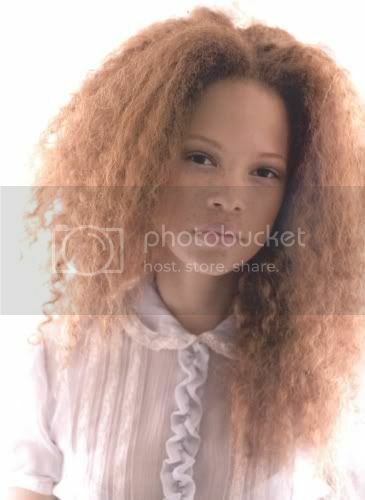 i always thought Eniko has the loveliest hair! for me technically it would be yesterday. Kristin Kreuk. left to air dry, tossed and free to do whatever. it was raining and sooo windy! im so glad i dont have short bangs anymore so i dont have to worry about it looking perfect or sticking up. yay for this thread.. I have many hair fantasies, so to speak..
from http://www.cupcakestastenice.com (a blog I found while searching for braids). Not sure of original source. I love Esperanza Spalding's hair. I'm years away from this length/size. I totally bow to her volume.